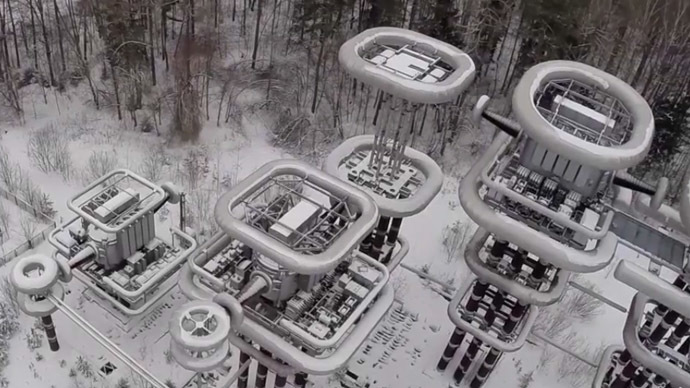 RT’s Ruptly was allowed to take exclusive drone footage of the Marx generator, better known as the 'Tesla Tower,' constructed back in the 1970s by the Russian Electrical Engineering Institute. 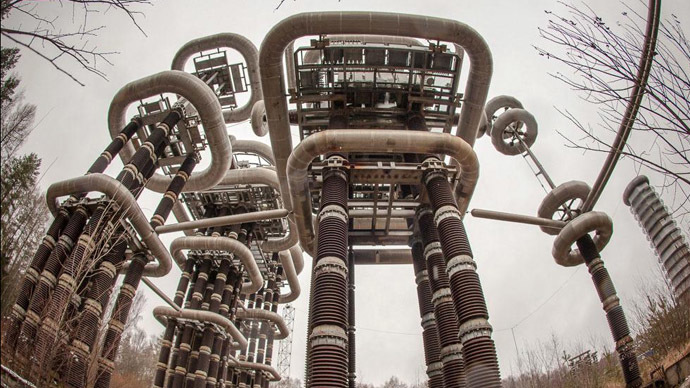 The aim of the Soviet project was to have a machine to test insulation and the effects of lightning on aircraft. It was also intended to be used in the study of the weaponization of electro-magnetic pulses (EMP), as well as the effects of a nuclear or solar blast on vehicles and electronics. 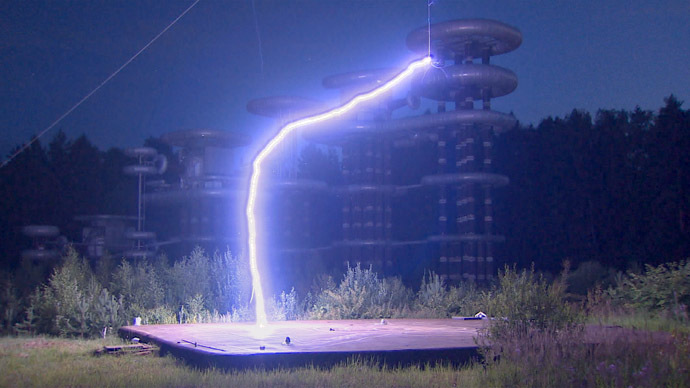 The structure – which rises above a forest near Moscow – is home to one of the world's most powerful lightning machines, which is capable of creating 150-meter artificial lightning bolts.